Petrizzo’s Authentic Italian-American Restaurant has brought quality food and service to beautiful downtown Bushkill for 71 years. Conveniently located on Route 209, we offer family friendly dining year round. Our family owned and operated restaurant offers a wide variety of food, beer, wine and tasty beverages. Experience our fine Italian-American Cuisine the cozy atmosphere of our indoor dining room or enjoy your favorite beer or libation in our friendly pub. Stop in for some genuine Bushkill hospitality and check out our daily specials. Our menu selections use quality ingredients to provide something for everyone from pizzas, pastas, and homemade Italian dishes to burgers, steaks, and seafood. Finish off your meal with our desserts and specialty coffees. Our menu is available for take-out. We offer delivery service to the Pocono Mountain and Fairway Villas. If you’re on the move, we provide Beer-to-Go. Our outdoor patio and Jungle Tiki Bar is truly a one of a kind experience as the pavilion is built around a massive white pine. 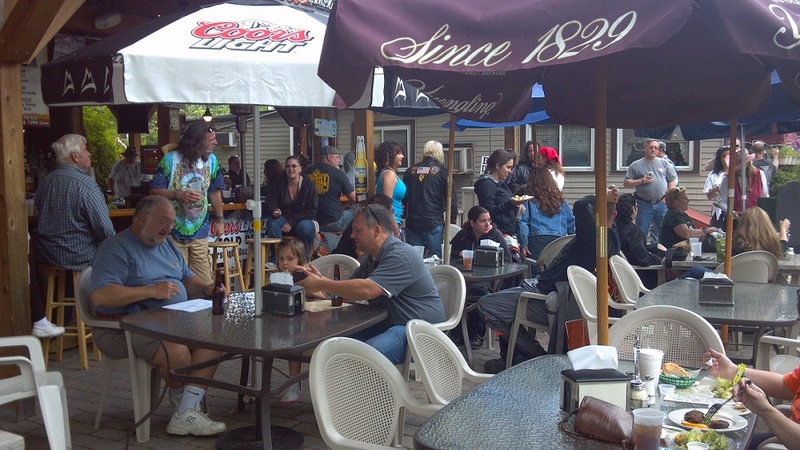 The “Party on the Patio” has the patrons enjoying fresh steamed clams and lobster as well as live music. Alfresco dining is available spring through fall. Check out our calendar for weekly events. 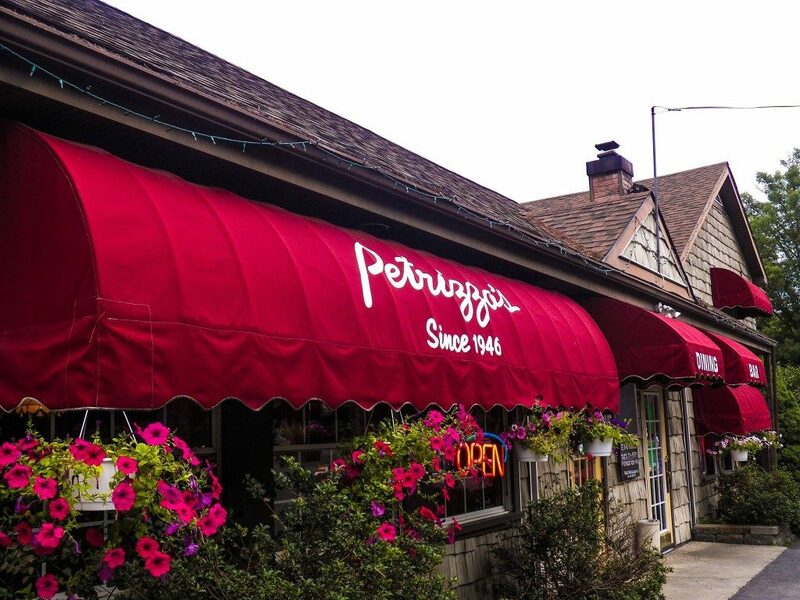 Petrizzo’s Restaurant is also a great place to book a family event or company party. If you are visiting the 18302 area, stop on in. Call now for more information. Join us for lunch or dinner. We look forward to serving you.